The New Year rolls in with all its attendant resolutions. My resolution is – not to make any resolutions. I have, however, promised to tackle a few home projects. We are 95% people – we get to the 95% completion point in a particular task and…and…that is it. We don’t seem to be able to complete the other 5%. So, this year we will tackle the 5% remaining in all those nearly ….so close but yet so far….jobs. Maybe. The farm is covered in a blanket of snow and the ice rink is is good shape. 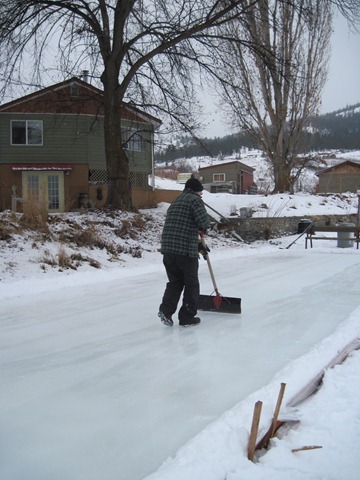 Shinny is on the agenda for this afternoon. Asta has taken to chewing the puck – it is the mark of a good quality puck that cannot be destroyed by our dog. Our friends and neighbours at Hollywood and Wine gave us a pasta maker for Christmas. In this high tech world it is charmingly old fashioned and simple to use. So, if I were to make a resolution (but, of course, I won’t be) it might be something like making more home made pasta but don’t hold me to that. This first post out of the 2011 shoot is not actually about the making of pasta. That will come later. I did make the pasta for this recipe but it is this unusual, but delicious, sauce I am presenting today. Broccoli and cauliflower are not usually associated with pasta sauces but this is surprisingly good and a good choice when there is not much else in the crisper. 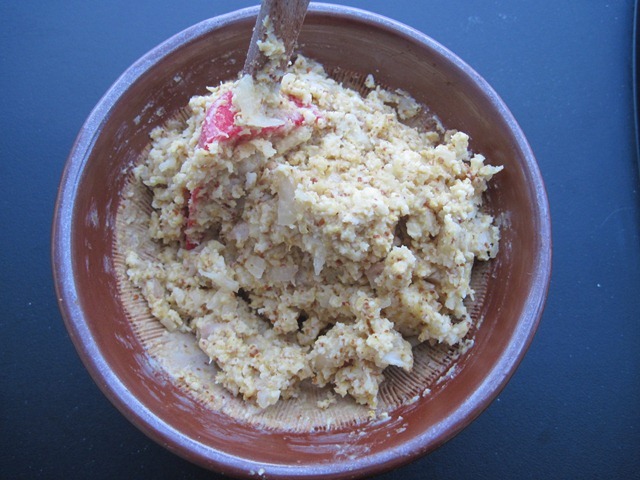 This recipe is based on a similar recipe from Deborah Madison. 1. Prepare fresh pasta dough now, if desired, otherwise ignore this step. 2. Cream 4 tablespoons of butter with the mustard, shallots, garlic, vinegar, and parsley. This step can be done well ahead of time and set aside until required. 3. 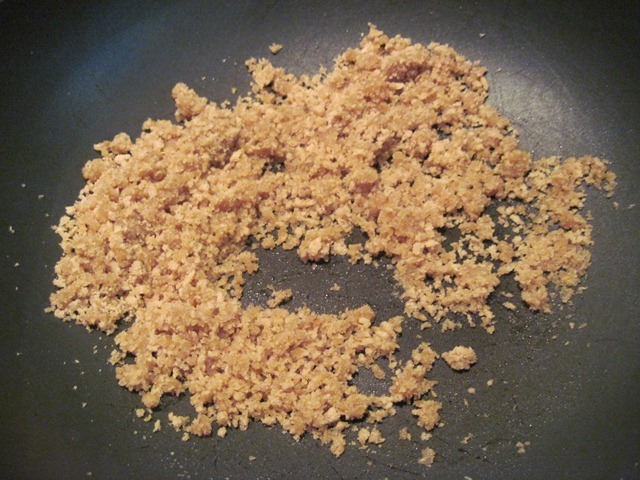 Melt remaining butter in a small frying pan, add the bread crumbs, and fry until crisp and well browned. 4. 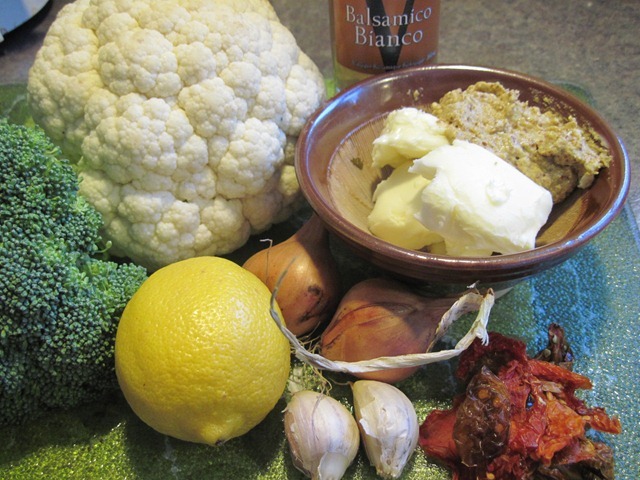 When you are ready to cook the pasta, salt the boiling water and in a saucepan large enough to hold the broccoli and cauliflower, melt the mustard butter over a low heat and add 1/2 cup of the boiling pasta water and the sun dried tomatoes. 5. 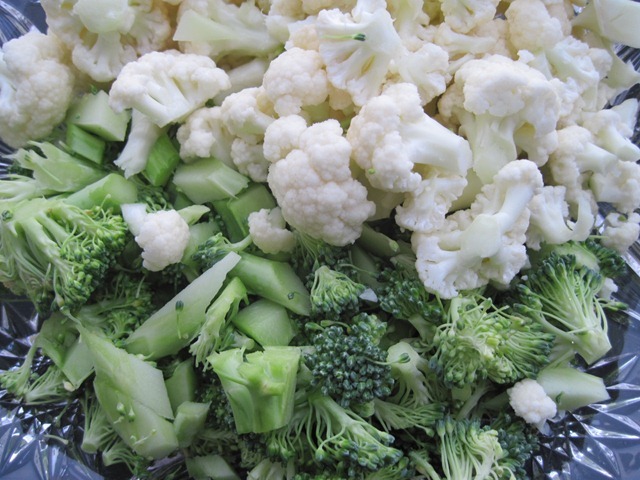 Drop the broccoli and cauliflower into the boiling pasta water, return to a boil, and cook about 1 minute (do not over cook). Scoop them out with a sieve and add them to the butter mixture. 6. Cook the pasta in the boiling water; drain and return it to pasta pot with lemon, broccoli and cauliflower mustard butter mixture. Toss well using tongs. Salt and pepper to taste. 7. 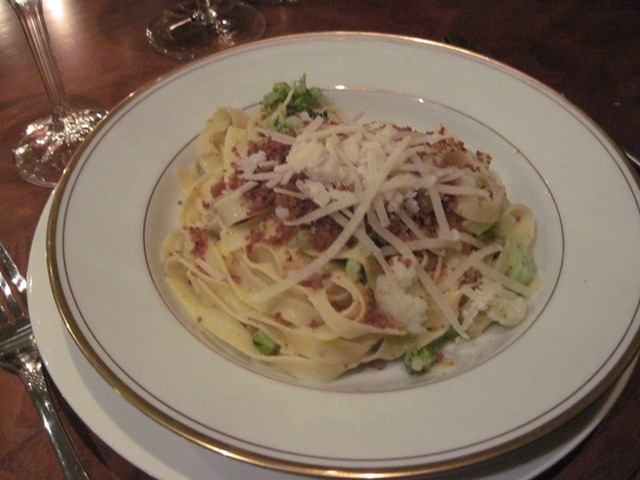 Serve on warm plates garnished with the breadcrumbs and freshly grated parmesan. 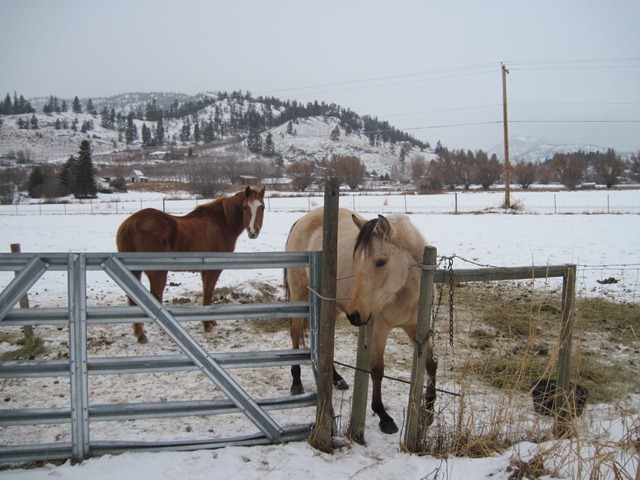 So, there it is – the first post of 2011. Thanks for following! Enjoying your weekly blog. I’m likely going to try this dish although I’m not into making my own pasta. I prepared this ‘hasta be pasta’ for my dear friends upon their return from Mexico – it was a huge hit. It will definately be on the table for the ‘main event’ many more times to come. Love your column, K&J. And Joan, I don’t do my own pasta either – but it’s All Good. Hey thanks for following and for trying these recipes. We hope to see you at the farm in the near future!